The unique Pigma ink is suitable for filing purposes. Pigma Micron produces a permanent, colour, water and light-fast result on virtually any porous surface. They come in a variety of different colours, sizes and nibs. 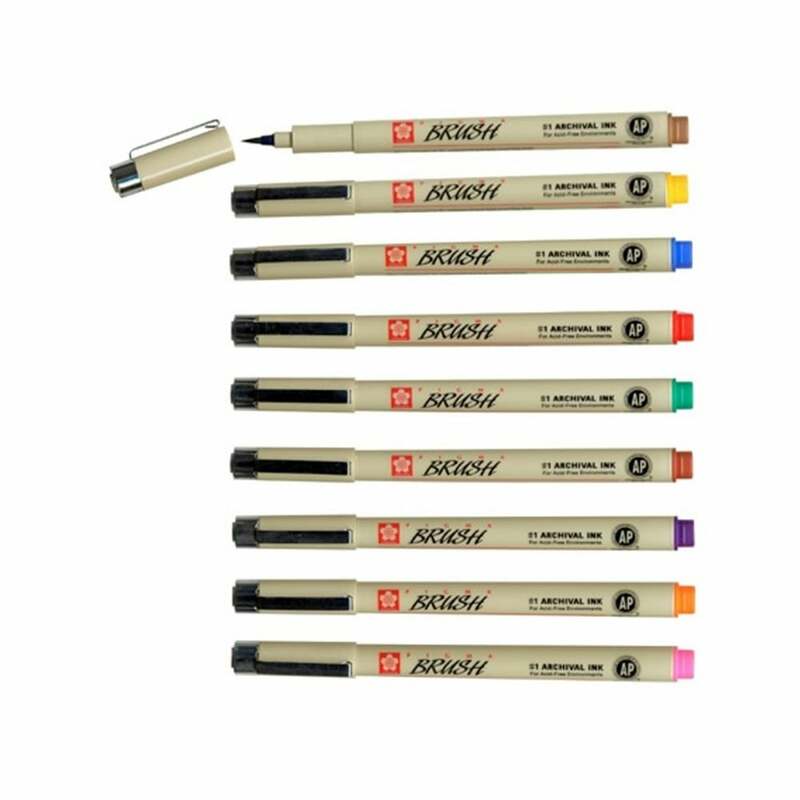 Contains 1 pen of each of the 9 colours from the Pigma Brush Pen collection. Colours include: Sepia, Brown, Red, Blue, Green, Yellow, Purple, Pink and Orange. I stumbled across Crafty Arts online after being let down twice on another site with sets not arriving,My daughter needed them for an art project that needed completing, found these pens at a fantastic price,ordered them and was amazed at the speedy delivery, I spoke via live chat with a lovely customer service agent and She was amazingly helpful, when the items arrived they were perfectly packaged and made my daughters day. I cannot recommend Crafty Arts enough, I am already planning on returning for more items ready for Christmas, my only problem is which ones, they are amazing. Thank you so much.